One of the biggest challenges I face at home is getting my girls to eat salad. Telling kids that salad is nutritional and very important for their health doesn't get me anywhere! The only option is to make a salad that is eye appealing and very tasty. Iceberg salad is both. It is easy to make and both kids and adults love it. 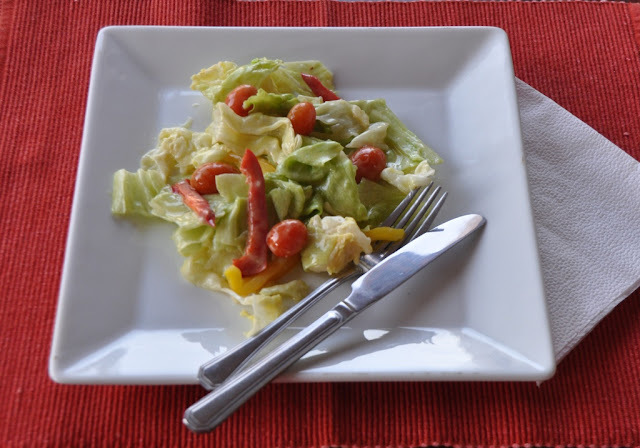 Iceberg Salad is a staple on my table whenever I have guests over. I hope you enjoy it as much as we do. Whisk all the ingredients of the sauce together and chill in the fridge for at least an hour. Before serving toss all the vegetables together and pour the dressing on top. Toss well to mix in the sauce. 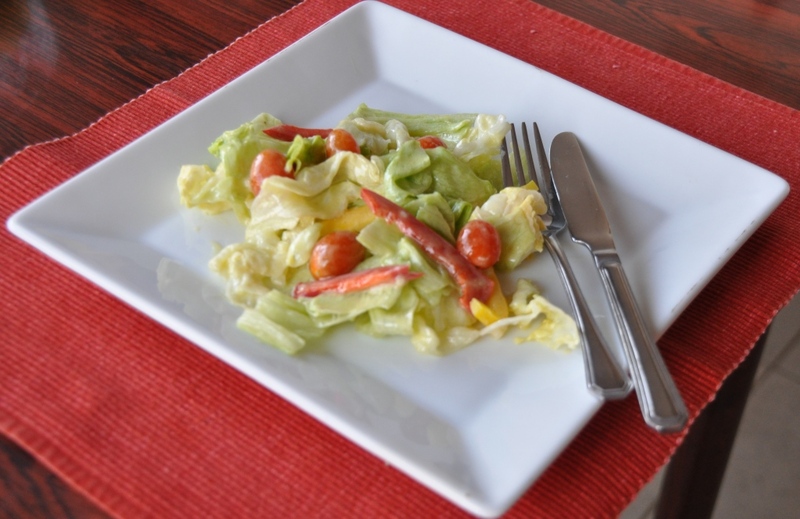 Make sure not to pour and mix the salad with the dressing until just before serving. Hope you enjoyed today's easy salad recipe: Iceberg Salad. Bon appetite. Do you also face the challenge of getting your kids to eat salad? Dear, I tried the Ice-berg salad today and it was soooo delicious. The taste was so good!I needed something different and an additional salad dish and what I did was going into your site and follwoing the instruction! Thanks for sharing and hope to see more recipes!